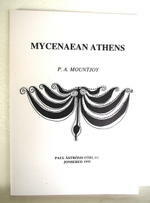 Astrom Editions AB - Mycenaean Athens. Av Penelope A. Mountjoy. 150 sidor. ISBN: 978-91-7081-073-2.